Catch the latest mix from the Boiler Room crew, as just dropped this past March 31st. 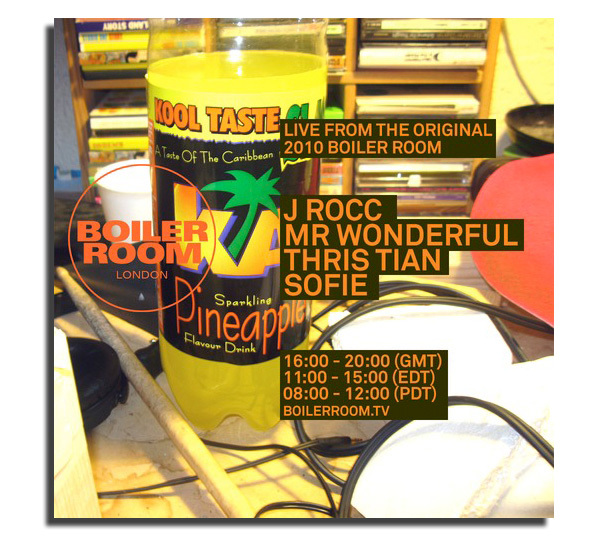 Recorded by Boiler Room founder from Thris Tian (aka Thristian Richards), the team decided to record the set in the original 2010 London location to celebrate the highly regarded series’ 4th Anniversary. Heading back to the location where the Boiler Room got its name, Thris Tian tapped into a 33-minute mix that he thought best exemplified its wide-ranging sounds. Other artists performing that evening included J Rocc, Mr. Wonderful and Sofie.